A digital revival of K.H. Schaefer’s Capitol (1931). See also Atlas . 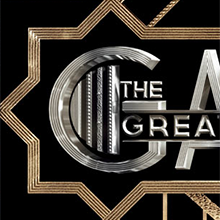 Deco Pinstripe is a custom variation made by Luca Ionescu of Like Minded Studio for The Great Gatsby (2013).